What is the benefit of this platform? Is it just a professional Facebook? Is there a point to it? The above are just some of the comments I receive on a daily basis when I ask people “Are you on LinkedIn? Can we connect?“; and it makes me wonder why people are not seeing how we can all have something that is just so much more than a Professional Networking Platform. It has grown so much from the early days when, yes, you could say that it was just platform to look for a job, but even then it was so much more. How do I explain this? I can’t fully because I am not here to tell you why you should be using it but highlight some ways and how you can help yourself in so many ways. Just think, when you search the internet, it is to find information on anything and everything. Well with LinkedIn, I can undertake many things including…. search for companies and see what they are like, do they deliver what I (or my clients are/) am looking for, what information to share, do they have someone there that could benefit myself or my clients? search for information that I am looking for – call it doing a professional Google search for what I need. Yes I know I could just Google it, but doing it here, I get information from the people within my network, so the chances are it is more update and valid than just a Google search with results driven by SEO! – What industries are they from? Also, one that is not listed but I do use every day is LinkedIn Contacts, which really does help me engage with my connections in an in-depth manner. So these are just a few points and I haven’t even gone into Company Pages or Showcase Pages either. Or, I haven’t even mention the benefits of how you can search for your target decision makers to help with your sales growth. Just think of the above as the main filling to your cake and these points I haven’t gone into as being the icing. Also, I have met on-line with LinkedIn (and been fortunate to meet some in person), some truly amazing inspiring people, who have helped me both personally and professionally to move forward. Now, does it do anything else? Well, yes, some of my connections whilst they do have a website, they actually put 95% of their effort into LinkedIn and when people ask them to explain about their business, they drive (direct) people to their LinkedIn profile 100% of the time as it clearly shows them and what they do. A good example is Richard Sink who does this and it truly creates so much more understanding for his prospective clients when they come back to him to ask about working with him and his team. I do hope this as given you some thoughts as to why you should be using LinkedIn and in my opinion why this platform is developing into such a strong all-purpose tool, that it should be one of the first Social Platforms you name as being in your portfolio – I would say it should be one of your Top 3. Most of us have been to plenty of Crystal and Lantern Awards ceremonies where we’ve seen great marketing and social media campaigns recognized for their ingenuity and effectiveness. 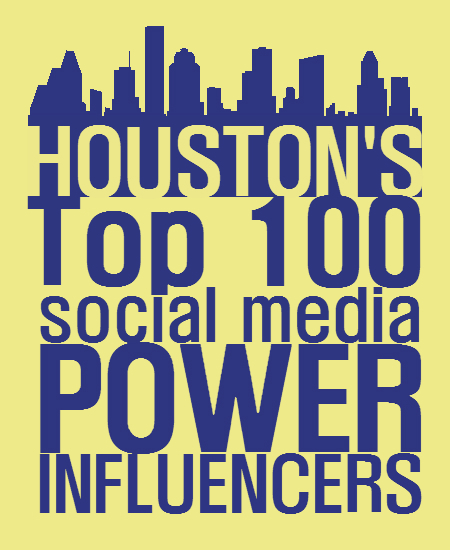 We know there are great social media professionals in our amazing city, but who are they? Is the Cloud really needed? Aren’t Clouds just big white fluffy things in the sky? Is “The Cloud” an important tool to me or my business? Oh, so you are talking about my computer or internet enabled mobile telephone connecting to the internet then? Whilst in a way yes you could say this may be the case, but it is much bigger than just that simple statement…. Whilst that is just a plain and simple view of what you could say The Cloud is, you need to start thinking of the much greater wider picture. In the future, when we are all moving from place to place, wanting to share either personal or business data/information with other people or having this data somewhere for us to access it – whether this be music, photos, files, etc, etc – the importance of The Cloud will become apparent more and more…. Take your Facebook, Google Plus, Instagram or Twitter for example, you share you details of what you are up to and access the information to share with other people and this is being undertaken like what the cloud can offer you. So, look at your email, this is now changing with Microsoft moving from Microsoft Office to Office365 and Google are using their gMail facility which again is another by-product of cloud hosting. So imagine in the future, your company is wanting something manufactured in Asia but you want to send details of what is happening with drawings, photos, etc, etc; yes you can be emailing all this back and forwards, but by using The Cloud, you are all sharing and accessing a virtual filing cabinet of all this information. Think back years ago, when companies actually, designed, manufactured and made things on a single site, all documentation was stored in the file room or archives. The Cloud is just a modern-day version and now we have the ability to do this and so so much more….. So are you ready and starting to really embrace The Cloud? As the above highlights, whether Data Storage, Emails, CRM, the opportunities for The Cloud becoming an everyday part of your business and life is happening and you need to be ready to embrace…..
Is the technology industry really being held back the greed of Venture Capitalists, Investment Bankers and Speculators? Recently there has been an abundance of “Money” people appearing in the news, on the radio and on television over the last weeks talking about Apple, Blackberry, Facebook, Google, Lenovo, Microsoft, Motorola and Yahoo amongst many technology and Social Media companies, saying that this needs to be done, this needs to be sold, break this company up, is this the right person etc, etc…..
Oh, the reason is simple! You are greedy and just want to make money for yourselves in double time! Make money for your clients to get your bonuses plus get rewarded by expanding your client base and all your media appearances and impressions more like!! As many people – including myself – have written about this on numerous occasions! Just let’s look at a recent examples…..
investors criticising Marissa Mayer for under-performing with generating sales at Yahoo and that was this a signal that Yahoo was going in the wrong direction and maybe she wasn’t doing well! What? This is the person that in the 18 months or so that she has been in charge at Yahoo, she has increased the share price by around 141% – is this not a success? Now who is smart? Marissa Mayer and Yahoo of course…. Google moves in the limelight by buying Motorola for $12.5 Billion and everyone thought wow they are moving into mobile phones and then they go and sell Motorola Mobility to Lenovo for $2.9 Billion along with 2000 patents! Analysts jumping all over the place saying what a mistake Google have made and losing nearly $10 Billion – how wrong were they! Firstly analysts then remembered that Google had already made a deal selling the Motorola set-top box division that when added to the Lenovo deal produces nearly $6 Billion – short memories as they raved about what a good move it was selling the set-top division! Then later that day, analysts, bankers, investors, etc,etc start releasing details that had been in the public domain starts to finally came out, Google was left with over 15,000 patents! Best not explain what patents are as you will think of money and completely miss the point! Oh and plus during all this deal, they got a sharing deal with Samsung which produced a deal where neither party would sue each other over Patent’s! Now who is smart? Google of course…. There is a bigger picture forming around the Technology and Social Media and this is not money – or is it? Let’s see, companies need to grow, they need to invest and develop new products that are open to two markets. Yes “Money Makers” there is two markets – business and consumers – which need to be both keep separate and in some cases together. So why do you interfere where you don’t understand how business works…. You are slamming mismanagement as to how things have happened at Blackberry yet you are the ones that compared it to Apple and killed the business but blamed management! Blackberry has always been a business tool over a consumer tool and the majority of all its income came from large Corporate and Government contracts – yet hey….Apple comes along and then you compare it and kill it! Let me give you a quick lesson……….. So, by you saying that Blackberry is not doing well when comparing the numbers of their handsets against the iPhone, you were comparing figures from High Street telephone retailers – not like for like! As stated above previously, Blackberry‘s are mostly sold by Business (b2b) telephone companies, who do not sell to consumers. With you slating Blackberry and their products (look again at what you did by comparing the Playbook to the iPad) – you destroyed the brand and blamed the management! Over the last fifteen plus years, you have killed and potentially ruined so many companies by falsely comparing them to the consumer market, commenting on products and services that you don’t understand and trying to make a quick buck by forcing companies to sell divisions which they have then had to buy back later which has cost them more money then they made! Oh, wait you guys made money, so I guess that is OK then….. In summary, stop being greedy and self-serving Banks, Bankers, Investment Bankers, Investors and Venture Capitalists – leave Social Media and Technology alone…. Social Media and Technology will only grow through development and innovation via the people within these companies and technology experts and users.